Nesting gulls can be particularly aggressive and have been known to swoop on people if their nests are nearby. They also spread litter around and can be noisy. 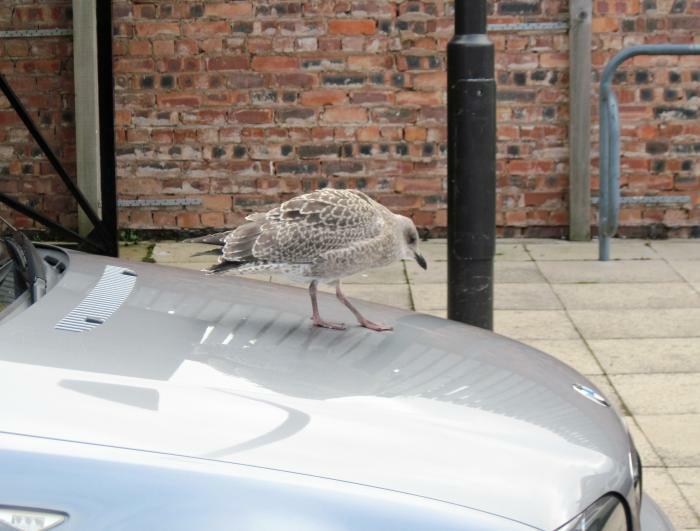 Copeland's Portfolio Holder for Strategic and Regulatory Services, Coun Allan Holliday, said: "We know it is tempting to throw scraps for the gulls, but it does increase their numbers, as they will go wherever there is food. "It also encourages them to become too familiar with humans and this is exacerbated in nesting season, when the gulls may become protective of their young. It's the price we pay for living in such a beautiful coastal location, but there are things we can do to lessen the problem." Copeland Council has a leaflet on the subject which can be found at https://www.copeland.gov.uk/sites/default/files/attachments/seagullinfo7.pdf . It explains the laws on seagulls, and describes measures to deter them, including eliminating their food sources. During nesting season the law says the nests and eggs must be left alone, but once the season is over property owners can take measures to prevent birds from nesting again next year. The leaflet has more detail about how to do this.